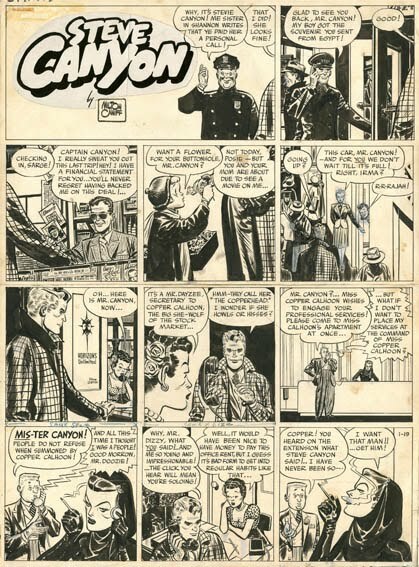 Matt yammers on about cartoonist MILTON CANIFF and lesser topics for the edification of millions. 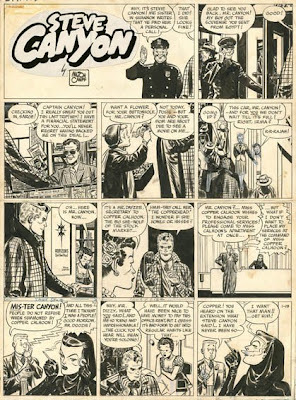 A few weeks ago we reported on the 'Terry & the Pirates' teaser strip that sold for over $38K at auction. You can read about that here. Last month a significant 'Steve Canyon' Sunday page sold for 30,000 Euros at BRAFA, the Brussels Antiques and Fine Art Fair in Belgium. This was the first 'Steve Canyon' Sunday, as well as the first appearance of Canyon himself. Capitalizing on the hype surrounding the launch of his new comic strip, Milton Caniff used the six dailies leading up to Sunday to heighten the anticipation for the title character's debut. On January 19th, 1947, readers were not disappointed. How this landmark original art ended up sold by a Parisian gallery at a Belgian auction is something of a mystery. 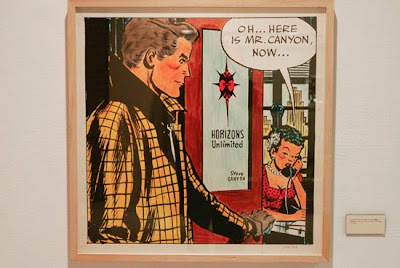 I inquired to the gallery as to the provenance, i.e., where did it go after being returned to Caniff at his New York studio. The gallery responded that Caniff gave it to a "European friend", and that it has been on exhibit in Europe on several occasions. Here is how the printed version appeared in color, as seen at the Billy Ireland Cartoon Library & Museum's Cartoon Image Database. 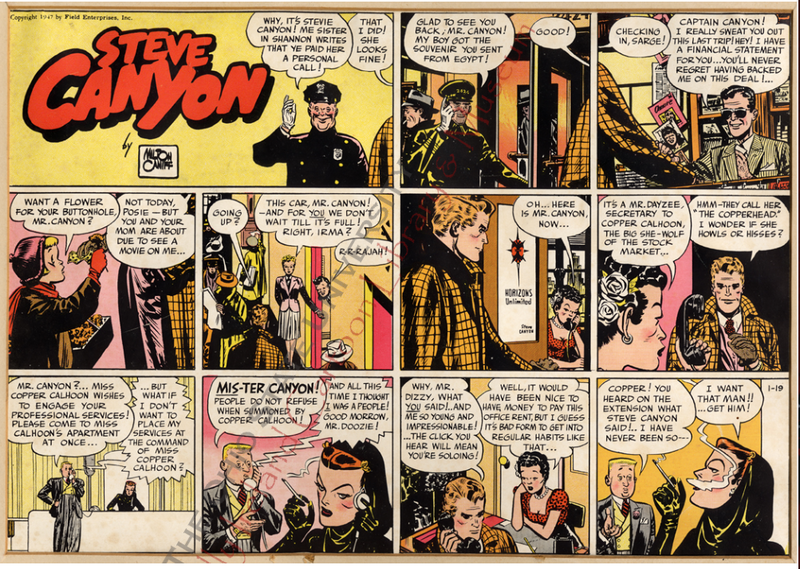 This is a blowup painting of one of the panels by Caniff. It was on exhibt at OSU during the Caniff centennial in 2007. I am crushing it every week.